Whether you are reseeding grass, feeding your lawn, or spreading fertilizer, you’ll want to do it in the most effective way possible to ensure results. 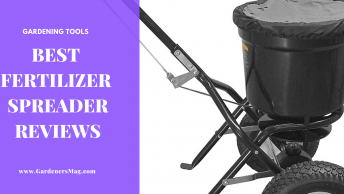 Therefore, many gardeners will only use the best drop spreader for the job, so that the correct amount of feed, seeds or fertilizer is dispersed. 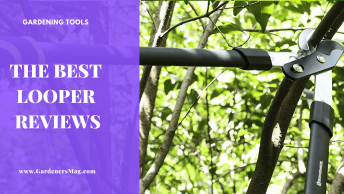 If you are considering purchasing a drop spreader, then hopefully you’ll want to make your final decision on which one to buy having considered all the features which each has and establish how it is going to benefit you when you are gardening. To assist you with this, we will outline the main things to look for in a drop spreader, as well as further aspects of using a drop spreader which you may not have considered previously. By doing so, we hope to help you make the best choice possible when you decide which drop spreader you are going to purchase. Drop spreaders are very simple garden tools and their construction is every bit as simple. They have a frame, with an axle with two wheels, and a handlebar to push it. Bolted to the frame is a hopper, which obviously holds the material that you are going to spread. There will also be an activation mechanism that normally consists of a cable or rod which runs between a lever on the handlebar, and the hopper’s opening slat. To operate the spreader, you pull the lever and the material will be released underneath. You may also be able to adjust the handlebars so that they are more suited to, and more comfortable for, your height. To ensure that the amount of material dropped from the hopper is spread evenly across the width of the spreader, a simple process called calibration is necessary. The way this is done will vary between models. Some will a have a simple control which you adjust and then check that the shut-off bar which releases material is lined up with a calibration line. Another the process requires you to place a container under the hopper to catch material as it falls through. You weigh how much material was released over a set distance and compare it to the manufacturer’s calibration settings. You then adjust the spreader depending on whether too much or too little material was released. The word ‘calibration’ sounds ominously technical to some people but don’t be too alarmed if this applies to you. You should only need to calibrate your drop spreader once a year and there will be instructions provided by the manufacturer of the model you choose. The most obvious use of a drop spreader is to provide nourishment for your lawn by spreading fertilizer across its surface. However, there are many other ways you can use it. Where your soil has been identified as having a low pH level, you could spread lime to raise it. Low pH levels mean your grass will not grow properly, and even if it does it will not be healthy, so using a drop spreader in this way, could work wonders for the well-being of your lawn. 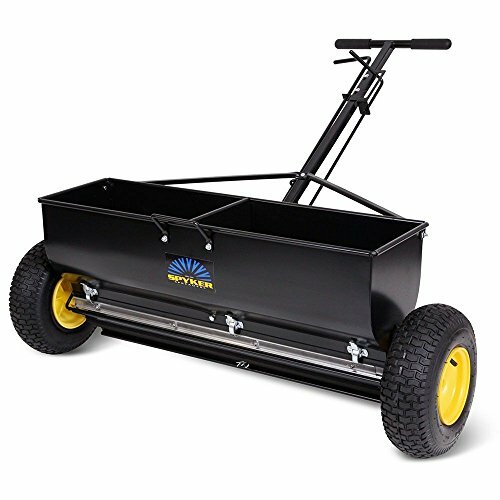 Seeding a new lawn, or re-seeding a lawn which is bare or patchy, is another way you could use your drop spreader. With the accuracy that a drop spreader provides, you are more likely to have even seeding across the entirety of your lawn, and thus less likely to have bare patches. Finally, if the winters where you live get particularly cold, you could use your drop spreader to spread salt to melt snow and ice on your drive or pathway. You may be aware that drop spreaders are not the only type of spreader available, and that should alert you to the fact that different types are used for different purposes and produce different results. 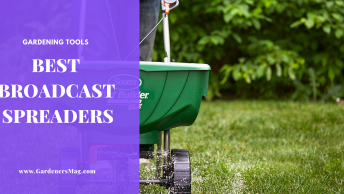 The other main type of spreader which is used by gardeners is a broadcast spreader, so why and where might you use a drop spreader instead of a broadcast one. Broadcast spreaders operate on the principle that they scatter the fertilizer or seed to the front and to the side of the person pushing or carrying it. The advantage of this is the material it’s being used for is spread over a larger area. It also means the job of spreading is done much quicker as well. While a drop spreader doesn’t provide as much coverage or speed as a broadcast spreader, it has one major advantage, and that is accuracy. With the fertilizer dropping through between each of the wheels, you know that is the only area which it is going to land on as you are walking forward. There are many scenarios when it is vital that fertilizer, seed, or lime, are spread accurately. This includes ensuring a lawn is seeded evenly, or that even amounts of fertilizer or weed killer are distributed over a large area. This is why a drop spreader should be used where these aims are vital. Using a drop spreader should normally present no risks provided if it is used sensibly, and appropriate precautions are taken. When handling any of the materials which you are putting into the hopper you should always be wearing gloves. 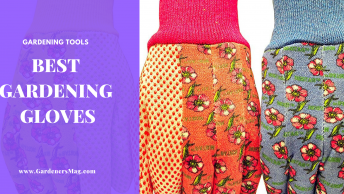 This should prevent the risk of any skin irritation. You should also consider wearing eye protectors when pouring the materials just in case any dust generated gets into your eye. A final point if you are ever spreading lime on your lawn, and that is in relation to pets. Some lime products are very caustic and if animals if they walk on it, this can cause chemical burns to their paws. 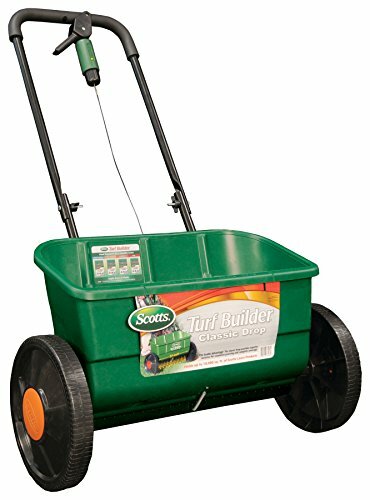 If you prefer to buy products that you can start using right away, then this drop spreader from Scotts might just find its way into your shopping basket. 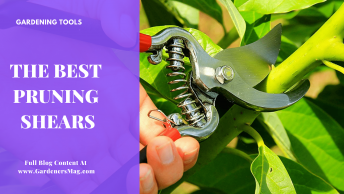 Unlike many of these types of gardening tools which require assembling and setting up, this one comes completely assembled and the calibration has been done for you as well, meaning you can use it right out of the box. This spreader is suitable for most garden sizes, thanks to its generous hopper size. This can hold enough material to potentially spread over an area of about 10,000 square feet. This should be more than enough to cover larger gardens with just one or possibly two runs. Once you have filled the hopper with the product that you are going to spread, you can press the release lever which is attached to the handle assembly, and then start walking forward. The material will be released from beneath the hopper as you walk. This spreader has a 22-inch spread pattern which provides excellent coverage and means you have to do fewer runs back and forth to cover the entire area. The sorts of products you can use in this spreader should allow you to carry out most functions on your garden or on your lawn. You can spread lime if you need to raise the pH level of your soil, grass seeds to regrow bald patches, grass feed to boost the health of your lawn, and of course, you can use it to spread fertilizer. You should expect this spreader to last, thanks to the sturdy construction of the frame. 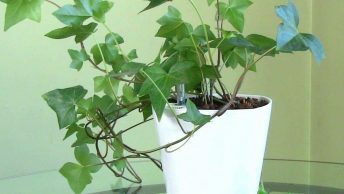 The product is also covered under the manufacturer’s warranty. Scotts have a good reputation for the levels of customer service they provide so that bodes well if you ever have any issues or questions in relation to the spreader. Coverage from full hopper up to 10,000 sq. 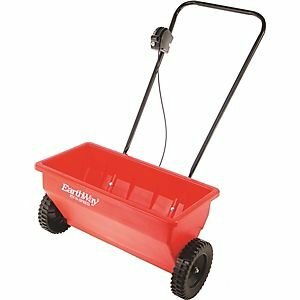 ft.
For anyone who has a smaller garden or lawn and cannot justify purchasing one of the larger drop spreaders that are available, then this drop spreader from Earthway Products may well be the solution you need. It’s as simple spreader, and its size and weight make it an ideal option for spreading lawns that have smaller dimensions. The spreader comes fully assembled, which we know will please a lot of people who simply hate having to spend half a day trying to make sense of the instructions. The only thing you will need to do is open out the handle assembly and tighten the wing nuts that hold it in place. Although this is designed for smaller plots and lawns, its hopper still has a decent capacity of up to 75 lbs. of material. This should allow a full hopper to be able to complete an entire spreading job without having to be refilled, albeit this will depend on the sort of product being spread. The spread width is a very respectable 22 inches, which is on a par with some of the larger spreaders that are available. One of the main benefits of that width is it helps to speed up the time needed to cover the area, compared to narrower spreads which will need more runs. You should be able to control the release flow of any given material by using the control lever which is attached to the handle frame. Given that each material has different uses, and the granules of each will also differ, this control allows you to set the spreader for the optimum flow of each one. The construction of the spreader and the materials used mean that it should resist rust, and this is especially true of the hopper, which is made from polyurethane. The chassis has a special coating which will help it to avoid rusting too. Where’s there’s a need for a robust drop spreader, that also has a hopper with a decent capacity, this spreader from Spyker fill that need. Starting with the hopper we find that it has a large capacity of around 120 lbs. This should mean that a single load of material within the hopper will be enough for you to cover the area of a medium to large lawn, without having to refill it. The hopper is different from many in that it has two sections which are side by side. The reason for this is that this spreader can be used to spread to a width of either 18 inches or 36 inches. There may be certain materials or scenarios where the 18-inch spread is more suitable, and the others in which the 36 inch is needed. With the 36 inch size it is ideal for spreading a lot of material, such as fertilizer, over a wide area, and in a much quicker time, than with a narrower width. The 18-inch spread might be more useful when you are working in a small, confined area, or in narrow areas where the 36-inch width would overlap the edges. To control the opening and closing of the hopper vent you use the control rod, which sits just below the handles. The flow controller is in this vicinity too and enables you to adjust the rate of materials being released. Both controls are rods rather than cables, so they ought to be more robust and likely to last longer. On the subject of how robust everything is, we come to the frame which is made from strong steel and has been powder coated to resist any rust. Helping to make pushing the spreader a little bit easier will be the wide wheels, which have pneumatic tires. The grip in these tires helps when you are pushing the spreader through wet or thick areas of grass. 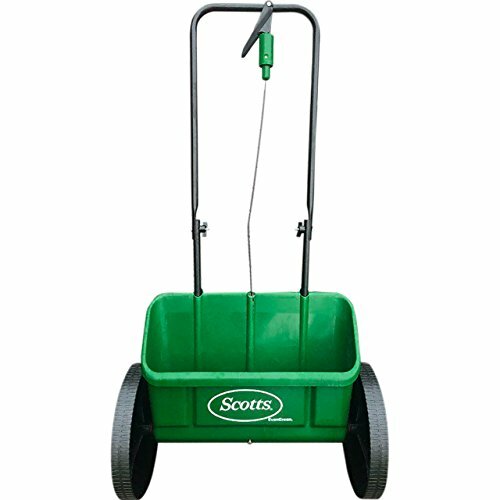 This is another spreader from Scotts which, if nothing else, proves that their large range of garden products must be popular, otherwise they would not have produced so many of them to be available for sale. As for this specific drop spreader, it is an extremely easy and simple garden tool, but it does require some set up before you can use it. The first thing you will want to adjust is the handle. This can be set to suit your height and makes the spreader more comfortable to push. You will also need to calibrate the spreader which is not as technical as it sounds. It simply means that you need to line up the shutoff bar underneath with a calibration line. This ensures that the correct amount of material is released each time you use the spreader. The hopper can hold up to 22 lbs. which is not the biggest capacity you’ll find. This is designed for use on small to medium lawns, so 22 lbs. should be enough for those sizes. For efficiency, and to reduce the amount of time any of these jobs require, the spread width is 18 inches, meaning the number of runs required is also reduced. Operating the spreader is a very simple process. All you do, other than push it along, is press the release lever which is connected to the handlebar. This opens the shut-off bar, and if your spreader is calibrated, will then release the correct amount of fertilizer, or whatever other material you might be spreading. As for those other materials, they could be just about any product which you might want to spread on your lawn, or around your property. It could be grass seed for when you want to thicken up your lawn, lime to boost the acidity of your soil levels, or lawn food to nourish it. These can all be spread using this drop spreader, which should prove just how versatile it is. Drop spreaders are relatively simple tools, nevertheless, they are also very useful, especially if you need to spread fertilizer or other materials on your lawn. Of the ones we tested, the best drop spreader is the Scotts Turf Builder as it has several top features. One of the most significant is the fact that it has a dual hopper which gives you the option of choosing between two different spread widths. The large 120 lbs. hopper also has great appeal, especially for those that have medium or large lawns. A strong robust frame also helped us choose it as our top product, and satisfied us, that this is a drop spreader which is built to last.